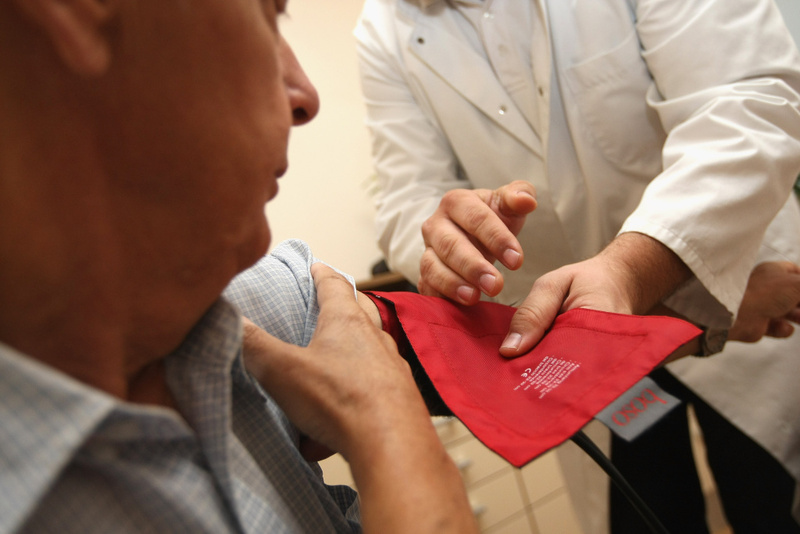 A doctor checks a patient's blood pressure on September 5, 2012 in Berlin, Germany. Doctors recommend coming into their offices for a check-up and blood work once a year… but is the cost to insurers and patients worth the benefits? Some experts are saying no, as a variety of studies suggest these appointments don’t actually prevent disease or prolong a patient’s life. Plus, they take up a lot of time and money – a 2007 study found about 10 percent of all appointments with primary care physicians are for annual physicals, costing more than $10 billion per year and possibly making it more difficult for sick patients to visit their doctors. But supporters of the annual physical exam argue they’re necessary to form trusting doctor-patient relationships and increase patient accountability for any unhealthy habits they may be struggling with. Regular check-ins can also help physicians identify dementia, depression or cognitive delays if a patient’s behavior has shifted over time. Patients, do you feel you benefit from your annual physical? Has your doctor ever detected a health issue you weren’t aware of, or is it perfunctory hoop you have to jump through every year? And doctors, what are your thoughts on the recommended yearly preventative exam? Do you feel it serves you and your patients, would you fix it, or just do away with it all together? Doctors and patients – what’s your experience with Medi-Cal?